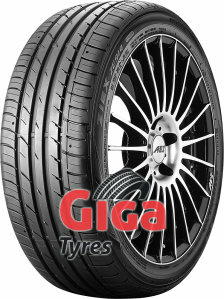 A large selection of run flat tyres is offered to giga-tyres.co.uk customers at some incredibly low prices. These pneumatic vehicle tyres can prevent some of the devastating consequences that a flat tyre may cause. After all, RFT will allow you to drive your BMW or any other vehicle at low speeds even when you have incurred a flat tyre. In turn, you will be able to make it to the next car repair shop without having to have your car towed. Moreover, passenger safety is thus increased by these RF tyres. Depending on the type of run flat wheels that you opt for, you can drive up to 15 to 20 kilometres before your tyre will give in. If you feel that you have ruptured or punctured your tyre, it is definitely important to drive at reduced speeds, since your run flat wheels will not work if you maintain the same high speeds. So why not equip your car with these tyres when they are available at such a low cost? We have plenty of RF tyres for sale! There are different types of run flat wheels for you to choose from, your can try both summer and winter tyres. Opt for self-supporting, self-sealing or auxiliary-supported tyres. Since the first run-flat tyres have been around since the 1930s already, tyre technology has improved a lot since then. As such, there are now several tyre options for you to choose from. However, due to their run-flat insert and their ability to carry high loads, auxiliary-supported run-flat tyres are not normally used in passenger cars.